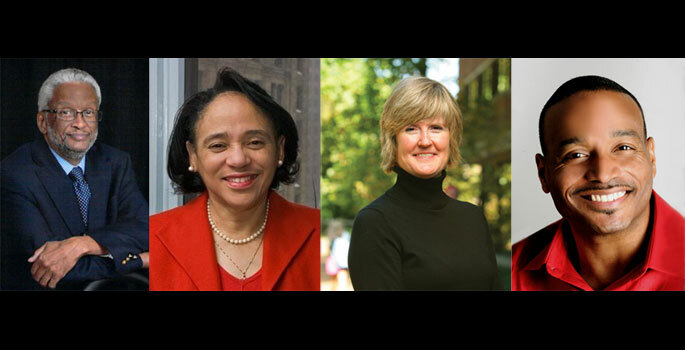 Dec. 4, 2017—In partnership with The Frist Center for the Visual Arts, Vanderbilt University presents “Food for Thought,” a series of lunchtime conversations with Vanderbilt professors, Frist Center curators, and other members of the Nashville community. The Dec. 12 session, inspired by the exhibition "Nick Cave: Feat.," will delve into how contemporary performance art can offer powerful and transformative opportunities for communities. 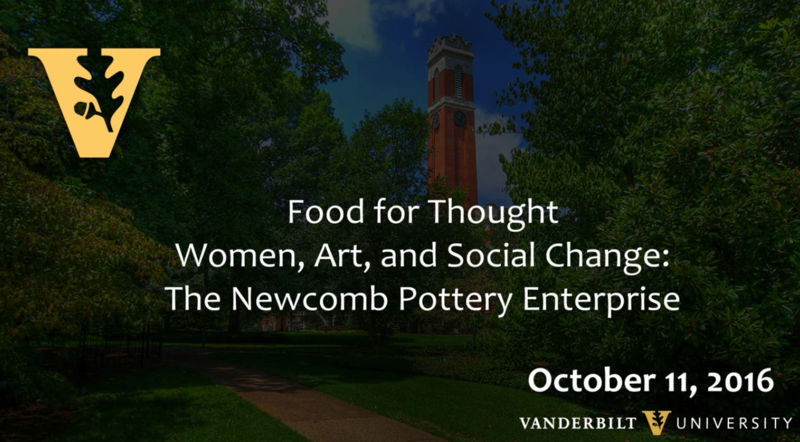 Nov. 3, 2017—In partnership with The Frist Center for the Visual Arts, Vanderbilt University presents “Food for Thought,” a three-part series of lunchtime conversations with Vanderbilt professors, Frist Center curators, and other members of the Nashville community. The next event is Nov. 14 at noon. 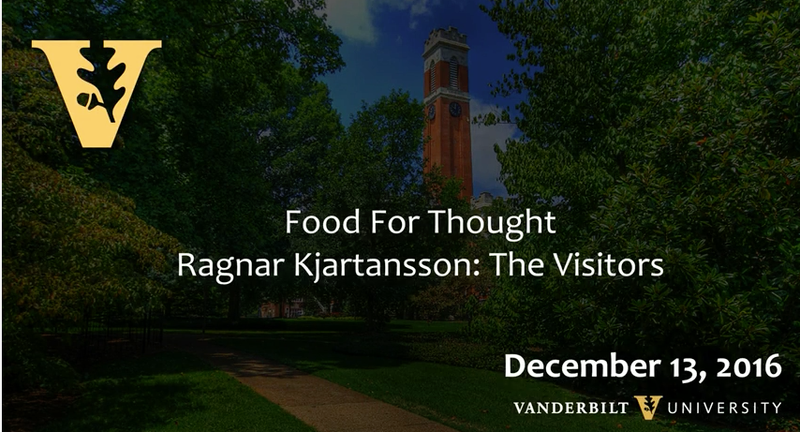 Dec. 13, 2016—Watch video of the most recent presentation in the Food for Thought lunchtime series which took place on December 13. Part three of Exploring Your World through Three Cultural Moments; Focus of Lecture: Ragnar Kjartansson: The Visitors. 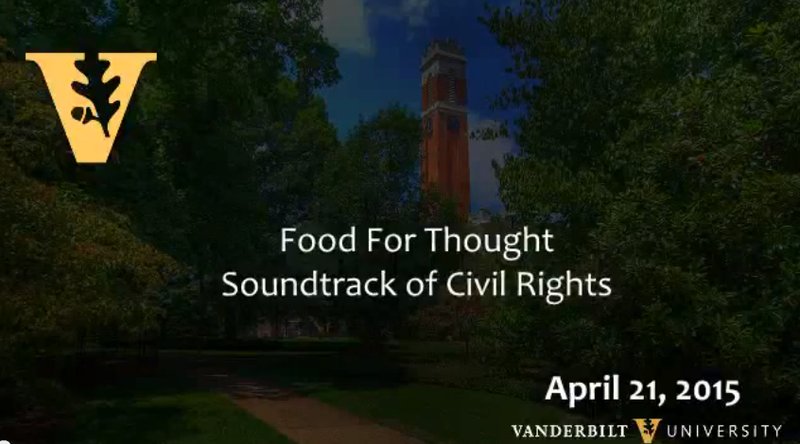 Food for Thought is a community lunchtime program. 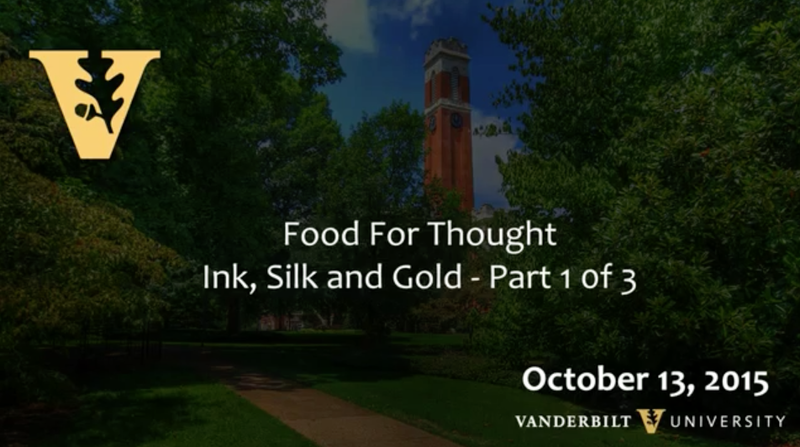 Oct. 11, 2016—Watch video of the most recent presentation in the Food for Thought lunchtime series which took place on October 11. 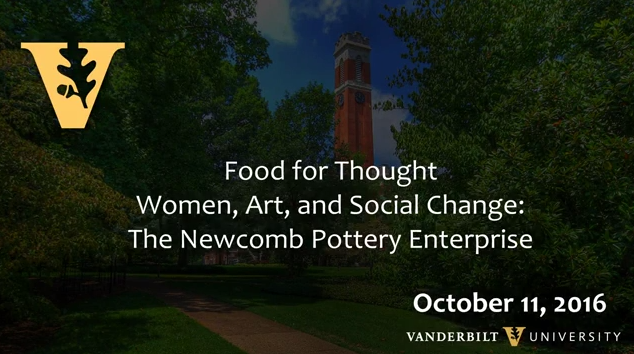 Part one of Exploring Your World Through Three Cultural Moments; Focus of Lecture: Women, Art, and Social Change: The Newcomb Pottery Enterprise. 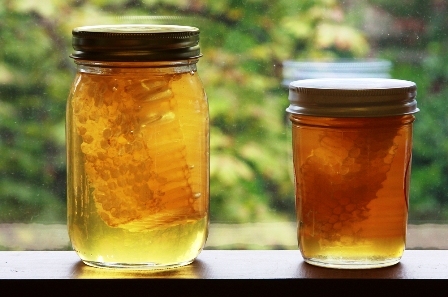 Food for Thought is a community lunchtime program. Jun. 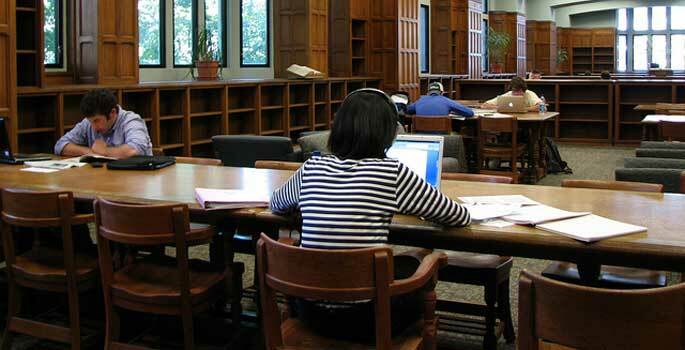 2, 2011—Art, food, culture and adventure await you on Vanderbilt's campus.